From the A90 (North Anderson Drive), turn onto the A944 (Westburn Road) and continue for approx. 1.4 miles. At the traffic lights turn right onto Caroline Place and follow the road down as it becomes Skene Square/B986. 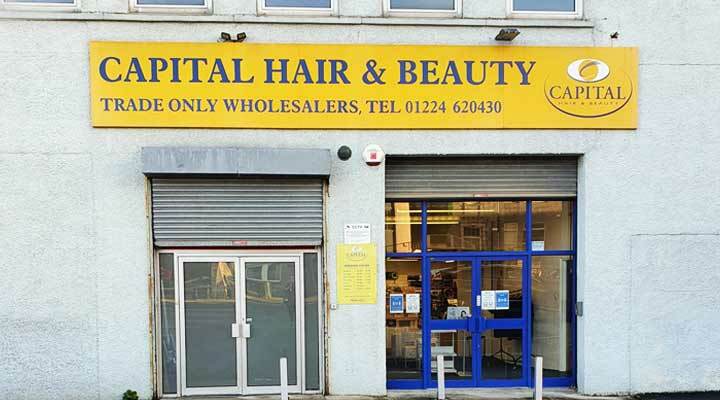 Capital Hair & Beauty are on the left hand side opposite Skene Square school. Come and visit us at our store in Aberdeen! Meet our friendly staff and choose from the largest range of hair and beauty supplies in the area!